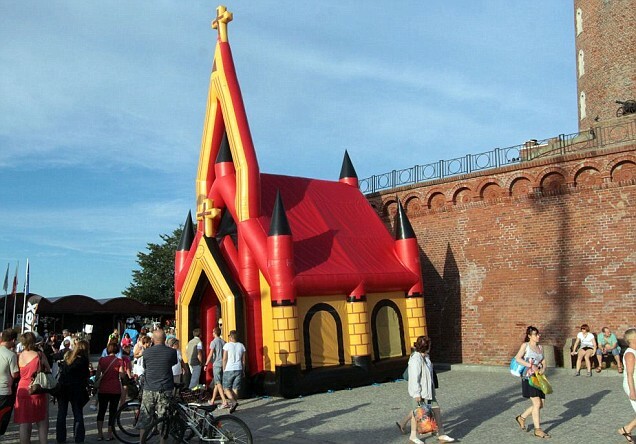 An inflatable and itinerant church from Poland to Kamchatka, the Russian Far East. It is the idea of the Catholic parish priest of Petropavlovsk-Kamchatsk, Father Krzysztof Kowal, who having failed to obtain permits and funding to build a place of worship has availed of this sort of "ploy". The initiative was proposed to him by a long-time friend in Poland who builds inflatable toys for children. "Many people – he told the BBC Russian service- do not even know that there is a Catholic priest in the city and there is not a single Catholic church in the peninsula, so when we meet in homes, the people think that we are a sort of cult ". 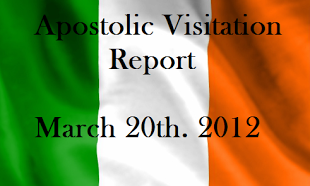 Before the arrival of the travelling parish, the local community gathered for prayer in hotel rooms, or outdoors near rivers or lakes. The new church (pictured), exposed in Poland before leaving for Russia, "weighs" 100 pounds and will be available for the faithful as of September 15, reports Interfax-Religion. Fr. Kowal also plans to move with his parish to different places depending to meet the needs of the faithful, regardless of weather conditions. In Kamchatka, winter temperatures can drop to -40 degrees.